When it comes to communication, it's better to have the right attitude than to struggle to make the other person see how your argument is right. Communication becomes an easier, more pleasant experience when you maintain the right attitude, regardless of how the other person is communicating � or refusing to communicate � with you. The right attitude keeps you serene even when you are being unjustly accused, or when you are being spoken to in a caustic, irritated, impatient manner that you could easily take offense to. The right attitude for smooth communication experiences is the attitude that expresses there is nothing going wrong here and there is nothing to worry about. There is no need to struggle or compete for any particular outcome. We are two individuals with purely good intentions for one another. The only way of being �right� that really matters during communication is being in the right state, which is the state of inner peace, harmony, compassion and mutual respect and appreciation. As long as you maintain this state, you avoid becoming ensnared in destructive conflict. Your emotional state is a product of your attitude. If you maintain the attitude that you are perfectly safe, with nothing to prove, you will feel secure and happy during the conversation. The moment you make it your responsibility to get through to the other person despite that person's resistance, you set yourself up for a draining, hurtful, frustrating power-struggle. The only point of view that is your responsibility is your own. If your perspective is working for you, keep it. If it is not, let it go. One perspective to let go of is the one that tells you that another person's point of view is your responsibility. This perspective expresses an attitude of dependency that disempowers you and sets you up to feel like a helpless victim. Maintain an attitude that preserves your power by remembering that you are not responsible for making anyone say, think, feel or do anything. It is what you say, think, feel and do that determines what happens to you. As you maintain the attitude of self-confidence regarding your ability to have your needs met with or without this particular person's agreement or cooperation, your attitude avails you of the means to meet your needs without having to waste your energy on a power-struggle with that other human being. Don't imagine going through any kind of significant loss without this particular person's agreement. Maintain an attitude that trusts that what is best for you will happen without you having to try to force anyone else to see things your way. You don't have to get through to anyone; you don't have to convince anyone that you are right; you don't have to make anyone see things your way. You can offer your perspective, but if it is not accepted, or if it is directly opposed, maintain the attitude that you really don't need that person's acceptance of what you have to say. Maintain the attitude that you really don't need the agreement, understanding or cooperation of anyone who does not freely give it. Communication sometimes flashes like lightening, but at other times it is an organic process. The other person may not be ready to fully grasp or appreciate the message you are offering. It may take him some time to reflect on what you have said for agreement to bloom. It may require that you revisit the topic again and again from time to time to nurture the seed of understanding that you have planted. Maintain a secure, confident attitude toward communication. If the other closes the door on what you have to say, trust that this is as it should be, that you didn't need that door to open for you to be safe, secure, happy and successful. Interestingly, by maintaining this balanced, non-forcing attitude toward communication you will probably find others more receptive to what you have to say. 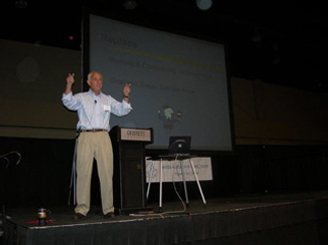 My inspiring keynote speaking presentations raise the audience's attitude above the need for petty personal conflict, for more harmonious and satisfying communication in their professional and personal lives. 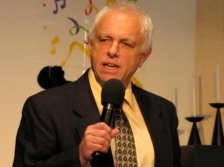 Give me a call at 770-364-9580 or e-mail to discuss your keynote speaker needs. I also provide in-depth individual and small group coaching for improved relationships and leading a more fulfilled and successful life.